Chloe Marquand, a recent graduate from Newcastle University, paints dreamy vistas of both Newcastle and her native London. 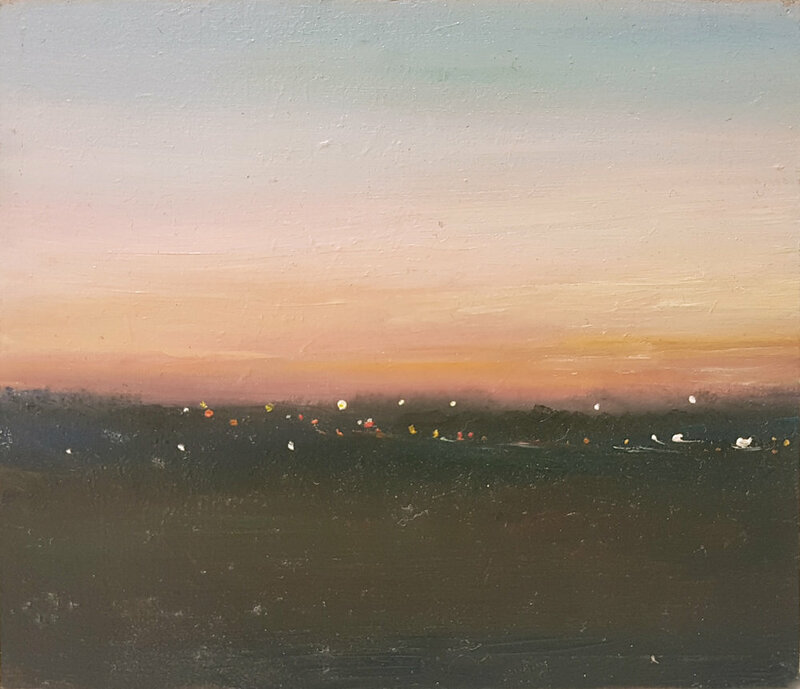 Her paintings capture the feel of the diffused light of sunrise or dusk, when the shapes of cities begin to emerge from the obscurity of open landscapes, with tiny sparks from windows and streets twinkling through the gloaming light. Chloe graduated from the BA Fine Art Course at Newcastle University in 2018, and has also studied at Die Angewandte in Vienna. She currently lives and works in Paris.